Domestic Violence Awareness Month: The Power of PJs Campaign – Willow Place Inc.
To many, a warm, soft pair of pyjamas is a reminder of the comforts of home. But for some, it’s not a comfort easily experienced, especially if they are leaving a dangerous relationship or situation in a hurry. But a group of Manitoba women’s shelters is hoping to change that through a donation drive that runs though the month of November. 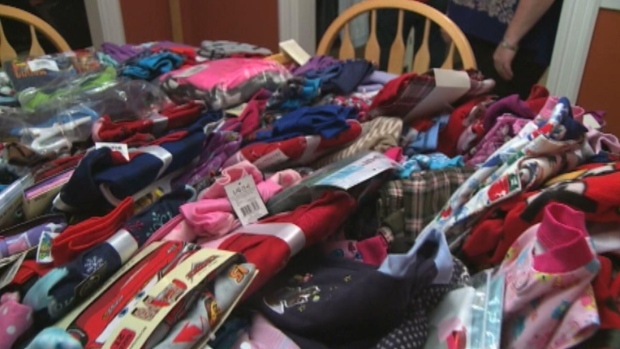 It’s called Power of PJs and is meant to not only raise awareness about domestic violence, but also about the increasing need of items like pyjamas at shelters. Braun was part of the Manitoba Association of Women’s Shelters committee that organized the campaign. She said the idea came from a brainstorming session at a MAWS meeting in September. MAWS represents eleven of the province’s shelters. “We also thought it might resonate with people because we can share the numbers of pyjamas that we specifically need, which then tells you how many people use our shelters,” she said. In Manitoba, about 3,000 women, men and children stay in shelters every year. That’s 3,000 pairs of pyjamas, robes, face cloths and other clothing and hygiene items needed every year.